This floating lanyard is designed to comfortably fit any wrist size and its buoyancy will ensure tha.. The Bike + Bar Mount for iPhone 4/4s puts your GPS, performance apps, music, camera and communicatio.. 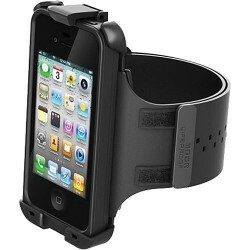 The iPhone Armband/Swimband for Lifeproof iPhone 4/4s Case from Lifeproof is designed to let you str..
Strap your LifeProof fre iPhone 5 case to your arm with the LifeProof Armband and hit the road, pool..
Use the LifeProof Bike + Bar Mount forÃÂ iPhone 5 Case with a LifeProof iPhone 5 case (sold separa..
Use the LifeProof Suction Cup Car Mount for fre iPhone 5 Case with a LifeProof freÃÂ iPhone 5 case..